A person with a disability who is denied assistive technology devices or services designed to meet the specific needs of a person with one or more disabilities. A person with a disability who receives Supplemental Security Income or Social Security Disability Insurance and is experiencing return to work issues, such as work-related over-payments and disability-related employment discrimination. A developmental disability means that a person must have a severe mental or physical impairment which occurs before the age of 22, is likely to be life-long, results in functional limitations in at least three areas of major life activity (self-care, language, learning, mobility, self-direction, independent living, and economic self-sufficiency). A person with a significant mental illness, as determined by a Licensed Mental Health Professional, who is currently an inpatient or resident of a facility providing care and treatment for mental illness, including persons who have been discharged from a facility within the last 90 days or who present an issue that arose during their stay at a facility, or within 90 days after discharge, or the person lives in the community. 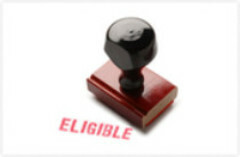 A person with a physical or mental disability that substantially limits one or more major life activities, or, with a record of such impairment, or, who is regarded by others as having such impairment, and who is ineligible for assistance under the CAP (Client Assistance Program), PADD, and PAIMI programs. The Client Assistance Program provides assistance to individuals related to vocational rehabilitation services. The CAP office is located in the Nebraska Department of Education, Office of Vocational Rehabilitation (800-742-7594). The focus of this program is to provide a person with a traumatic brain injury with information, referrals, outreach, self-advocacy, and legislative advocacy. Disability Rights Nebraska will use PAVA funding to ensure that people with disabilities participate in the electoral process, including registering to vote, casting a vote, and accessing polling places.